If you think that I’m exaggerating when I say, I squeal and dance a little bit every time I see a pumpkin or hear a fall reference, you are wrong. In fact, “squeal” and “a little bit” are under exaggerations. 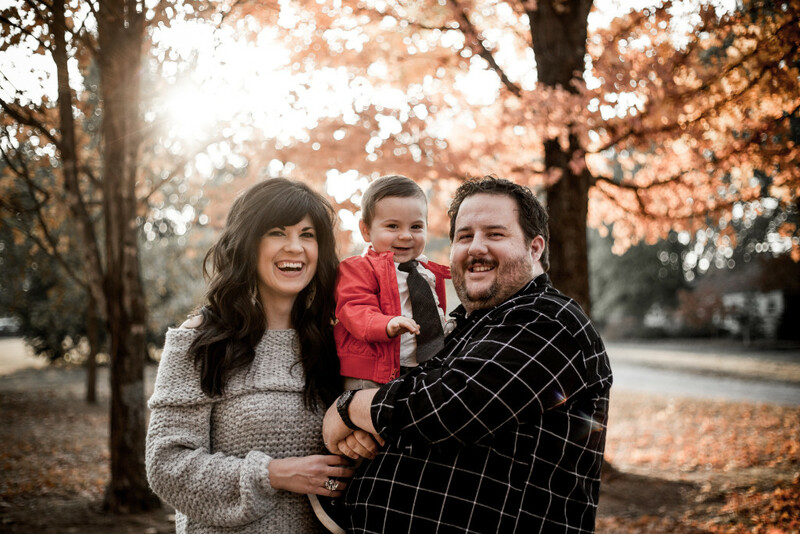 In the long list of delicious autumn-related things we get to breathe in, eat up, see, wear and do in the coming months, taking family fall pictures is one of them. 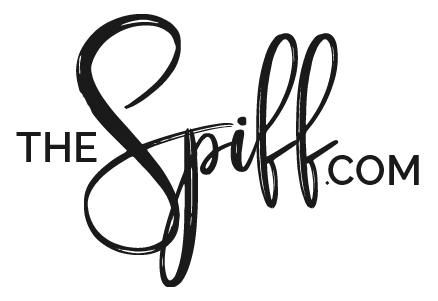 I want to help you style your fall family photo shoot my letting you in on my thought process as I put our look together. Minimize the daunting feeling of making multiple people look good, by starting with just one thing. Sometimes it’s what I want Jackson to wear, or it’s something I want to wear. Either way, having that one piece to build off of really helps lay the ground work for all of the looks. 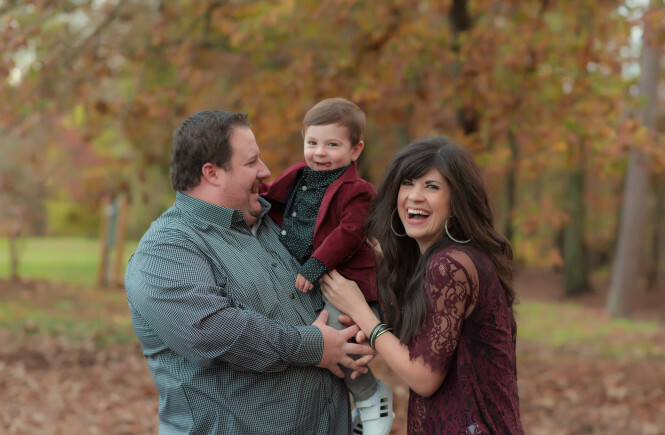 For our Christmas card picture from last year, I wanted Jackson in that red jacket. So I built out from there – adding texture and pattern with mine and Dayton’s looks. Build so that your looks are like Lego’s – they interlock. Notice in all of these pictures each of our outfits share an element the other one has. Above – Jackson, Dayton and I all have an element of black and white (mine in the bracelet). Jackson also has a pop of color (which you can’t see on the tongue of his shoes) but it’s one that corresponds with my orange. Below – Dayton has a chambray shirt that goes with the stripe in Jackson’s shirt. Jackson has on white which goes with my white. Dayton’s black shorts corresponds with my black stripes and Jackson’s khakis are a nice neutral addition that still flows while adding variation. (Bonus – his shoes are stripes to echo the pattern). This is my biggest tip of all. 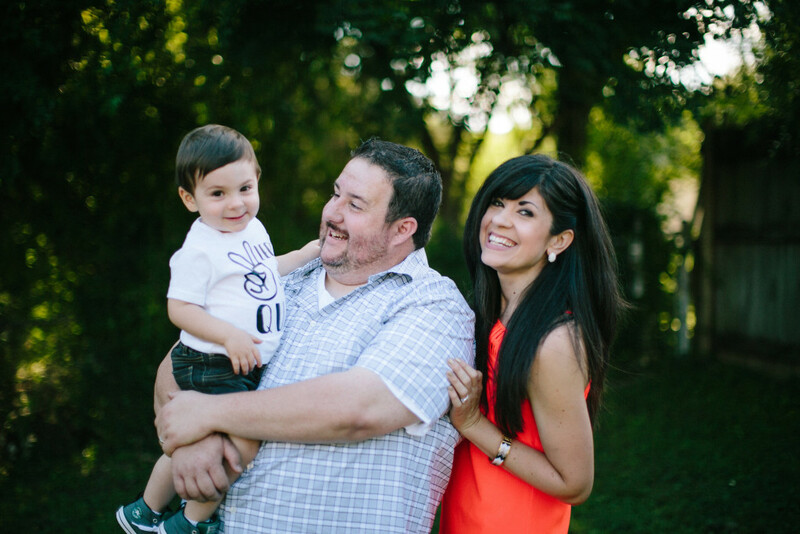 Looking back on our family pictures, my favorite thing about our looks are the patterns and how good they look on camera. Anyone else ever notice that game show contestants are always wearing solid colors? Unless you’re immediately leaving your family portrait to appear on Family Feud, leave the solids at home. Patterns look great on camera and give your look more depth and visual interest. Also, a photographer friend once told me that white is a no no, and all black gets lost in the shadows. Need a good family photographer? Check out this girl! 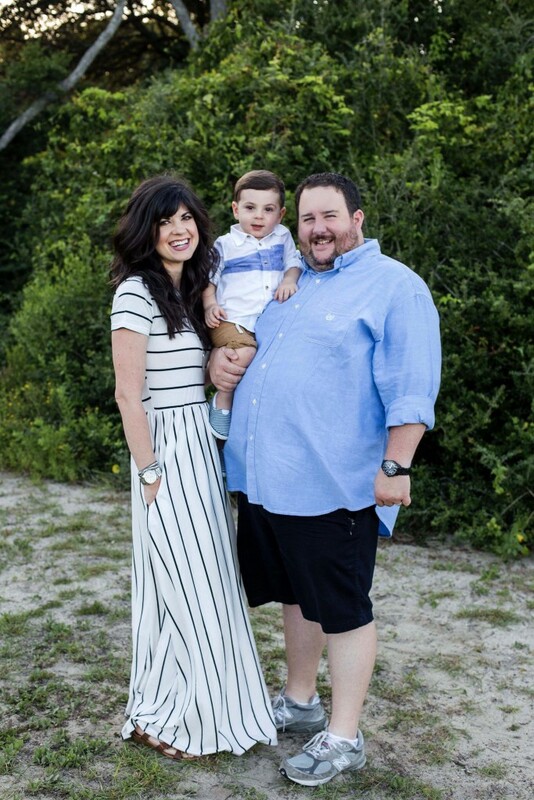 She’s talented and fun and will do a great job of capturing your family in photos you’ll love forever – I mean it! I made the decision once October hit that I wasn’t going to show off my toes any more because Lord do I hate painting them. Can I get an AMEN. So I’m happy to not be sweating it out in boots anymore now that the weather DECIDED TO COOPERATE. 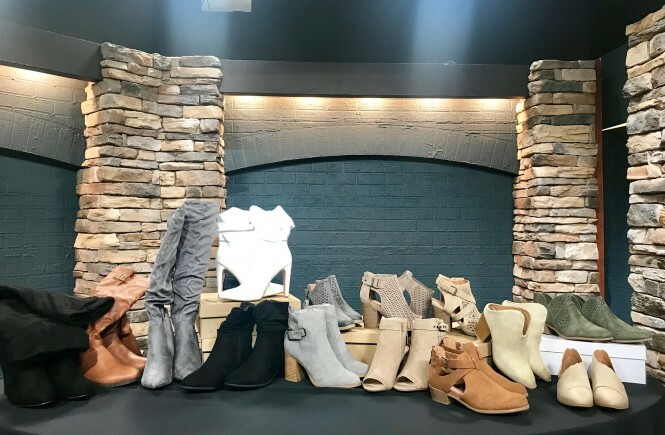 Since there are so many options when it comes to refreshing your shoe collection this fall, I thought I’d make it even harder with these beauties – Ha! JK. But seriously, it’s not going to be easy deciding which ones not to get. I do hope the tips I give in the clip will help you decide which shoe is right for your frame. Another thing to keep in mind, is if you’re going for tall/flat boots, look for some with minimal hardware. That will help keep everything looking sleek and slim. Thanks for stopping by! More great content coming next week! 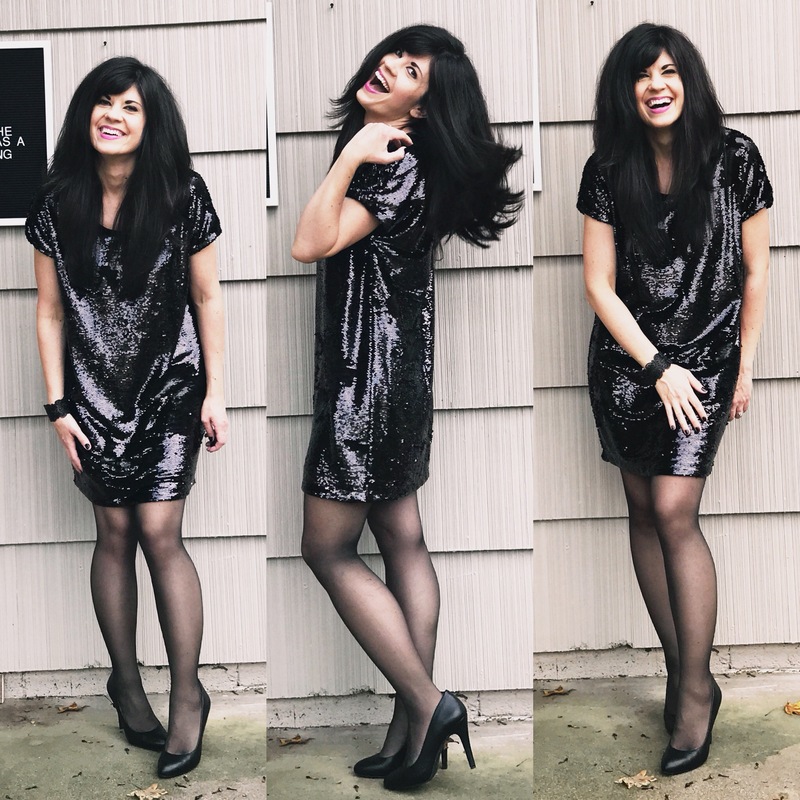 It’s no wonder October is my favorite – it always kicks off with a fashion show! 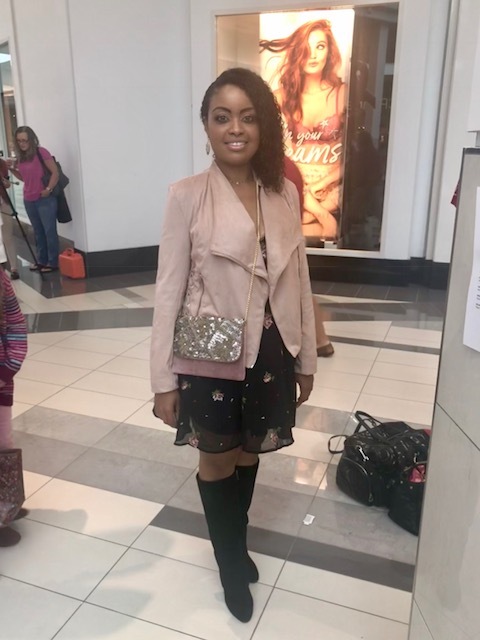 Every year West Town Mall partners with Susan G. Komen to do a fashion show that features survivors of breast cancer. 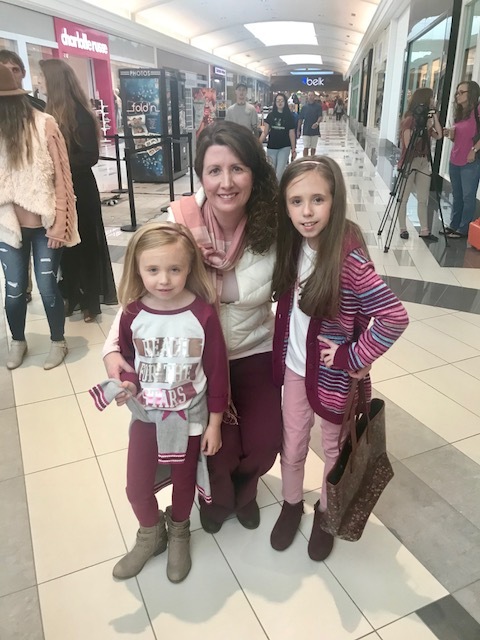 It’s a great way to celebrate the victory in these women’s lives and an especially fun way to get some fall fashion inspiration! 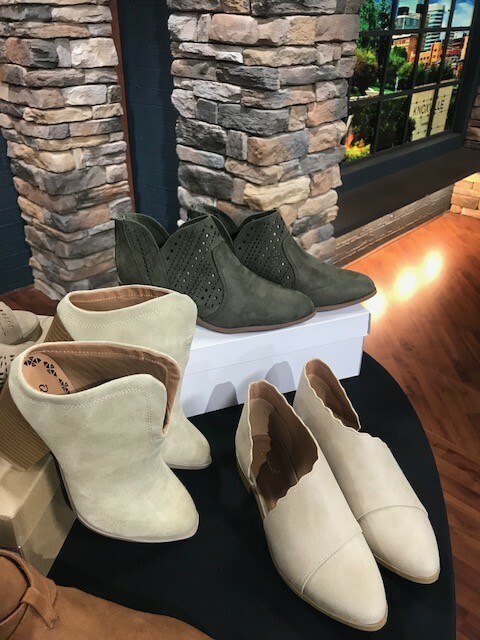 Over on Fox43 I’ll be talking about boots and booties, so I wanted to feature some looks from the show that also showcased some of the beautiful boots West Town Mall retails have to offer. 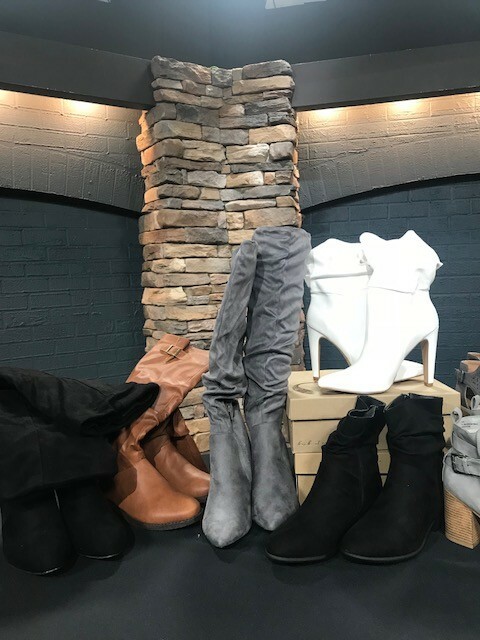 Pick up any of the pieces you see below at West Town Mall! 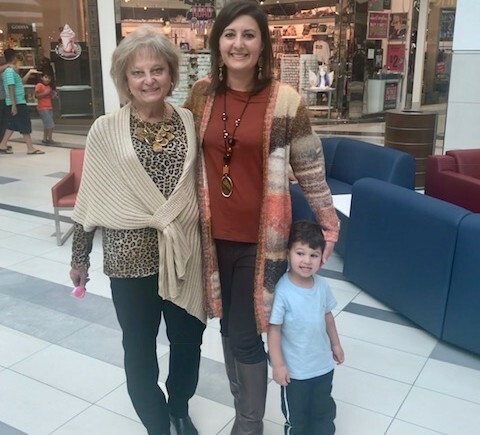 This sweet lady on the left has been in the fashion show as long as I’ve been emceeing it! 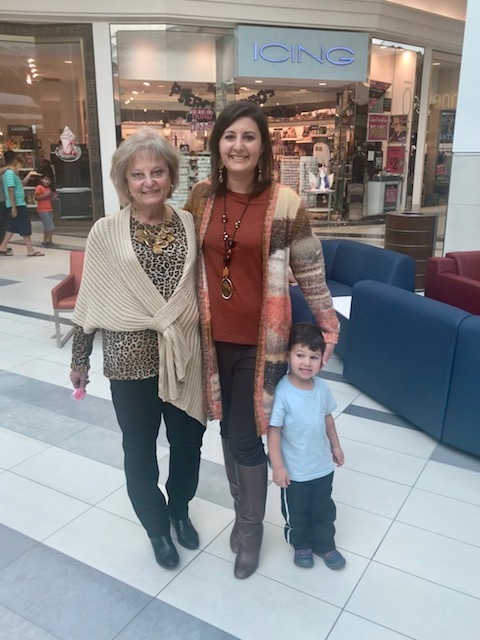 She walked tonight with her daughter (pictured) and they are showcasing looks from Chico’s – who has the greatest collection of leopard EVERYTHING right now. I’m totally in for that! I like how her daughter is showing off a monochromatic look with the brown boots, it helps make your legs look miles long! 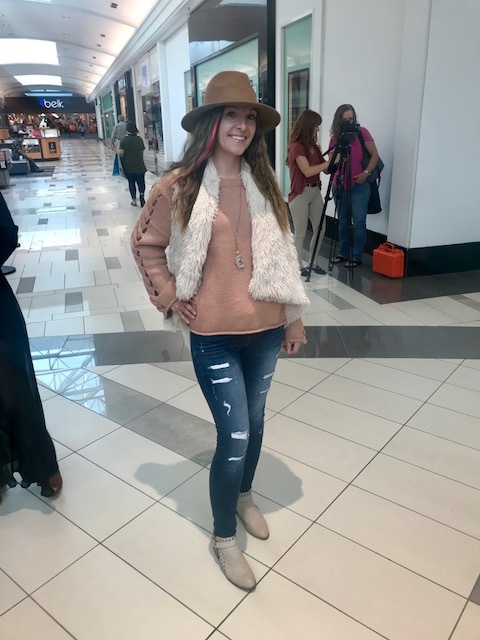 This girl got her boots from Dillard’s and I almost dropped everything to run to the other end of the mall (in heels no less) to pick up a pair myself, they’re so cute! Her outfit is from Francesca’s (I mean – that jacket!!). This is a great example of how to wear knee high boots and a short-ish skirt without looking unprofessional or inappropriate. She not only looks appropriate, she looks awesome! And that rose colored jacket would go so far in a closet full of florals and neutrals. How about these pretty girls! They are showing off looks from Land’s End located inside Sears. Don’t you love how little girls can pull off so much more than big girls can? (And when I say “love” I mean… “aren’t you slightly jealous?” Cause I am!) These girls are rocking the multi-faceted pink look with neutral booties that just look good. And remember, when the booties are ankle length or higher you can tuck your pants in – otherwise roll them a bit so you’re showing some skin. This look from Buckle is one to copy. I’m all about a good vest, and this one with the woolly texture is not only cozy, but adds great visual interest to the whole thing! 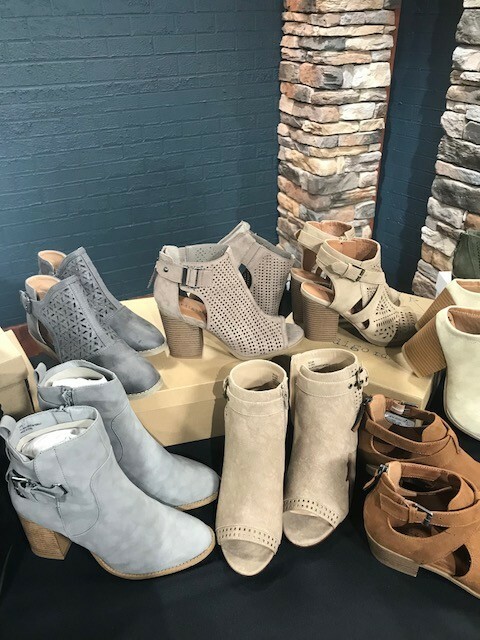 And if you can’t decide on a gray boot or a brown one, this shoe (a little less gray in person) falls more in the taupe category which is the perfect compromise. 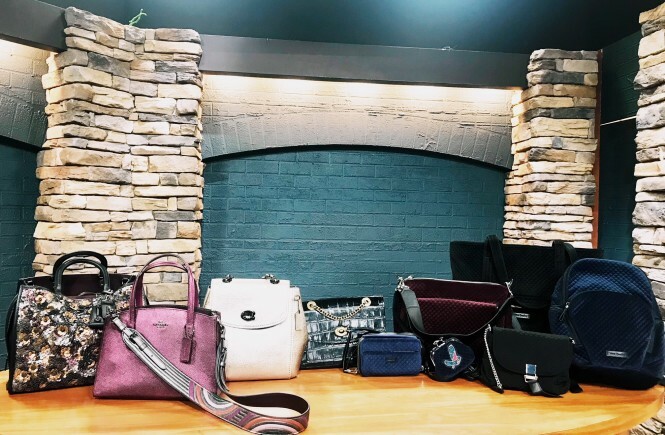 Check out the segment from Living East Tennessee from last week where we got to talk about the fashion show and showcase some more beautiful fall looks! Want some more fall inspiration? Oh sister, you’ve come to the right place.